EghtesadOnline: Leader of the Islamic Revolution Ayatollah Seyyed Ali Khamenei says the recent decision by the United States to designate Iran’s Islamic Revolution Guards Corps (IRGC) a “foreign terrorist organization” is rooted in America’s “rancor” against the force, which has been in the forefront of the fight against enemies. 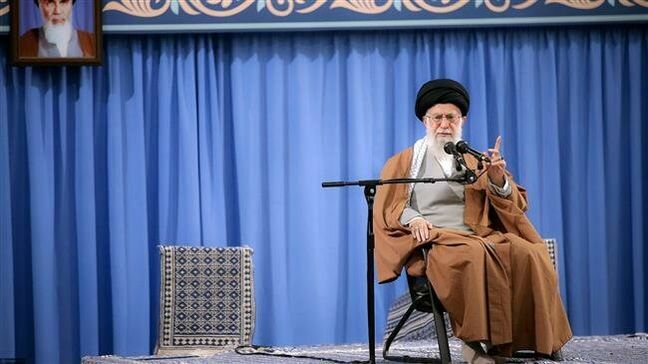 In a meeting with IRGC personnel and their family members in the capital Tehran on Monday, the eve of IRGC Commemoration Day, Ayatollah Khamenei said the Revolution Guards were on the front-lines of the fight against enemies both inside and outside of Iran, according to PressTV. Trump's allegations about Iran missiles in Yemen baseless: IRGC cmdr.